World’s most advanced mobile dating application for the iPhone hits the streets in Vancouver test market featuring voice and text chat, location-based discovery, and a host of female-friendly features. 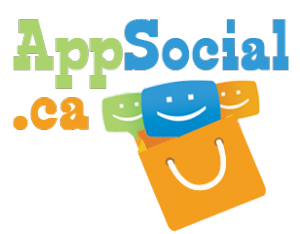 VANCOUVER, BC February 9, 2011 – Vancouver-based mobile application developer AppSocial Media today announced the release of their flagship iPhone app, TINGLE. After 18 months under development, the AppSocial team has created a network and application designed to significantly advance the state-of-the art in online dating. TINGLE, available at tingle.com or via the Canadian iTunes App Store, delivers a fully-mobilized online dating experience for busy city-dwelling singles. Among the service’s key features are location-based discovery (the ability to meet others based on proximity), real-time voice and text chat (which allows users to communicate easily without sharing their phone number) and in-app messaging (which means users don’t need to share their email addresses). The result is that TINGLE is engaging, easy-to-use, and presents an enjoyable experience for men and women alike. The company, which is backed by Vancouver-based angel investors and has 11 employees and contractors, focuses on delivering a positive and enjoyable user experience that is decidedly female-friendly. Founders canvassed more than 350 women in-depth in designing the service. The company will test TINGLE in Vancouver for a number of weeks prior to broader launches in the US and Canada this spring, with availability in Europe, South America, and Asia to follow this fall.